Angelwax BLUE RINSE BLUE RINSE WAXED INFUSED FINALE has been designed to be a post wash rinse and the final step of your vehicle wash cycle. We have formulated this water based spray on, rinse off wax to aid with the rinsing, drying and the gloss finish of your vehicle. 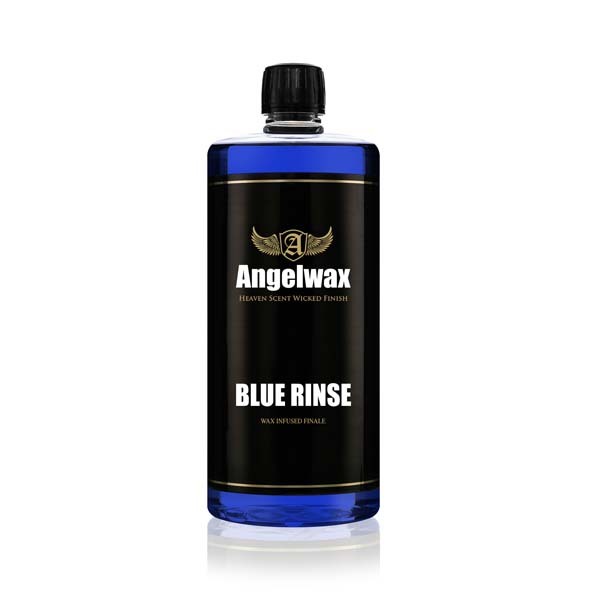 Angelwax BLUE RINSE is a highly efficient concentrated blend and can be diluted 5 parts water to 1 part BLUE RINSE. Angelwax BLUE RINSE can also be applied by using the trigger spray supplied.